NRA Sues to Stop Gun Control Measures Approved by Washington VotersThe ballot initiative raises the minimum purchase age for semiautomatic rifles to 21, among other things. Gun Lobby to Push for National Concealed-Carry RightsUsing a bipartisan bill to tighten gun background checks as bait, the NRA and its GOP allies are pushing to nationalize concealed-carry licenses. 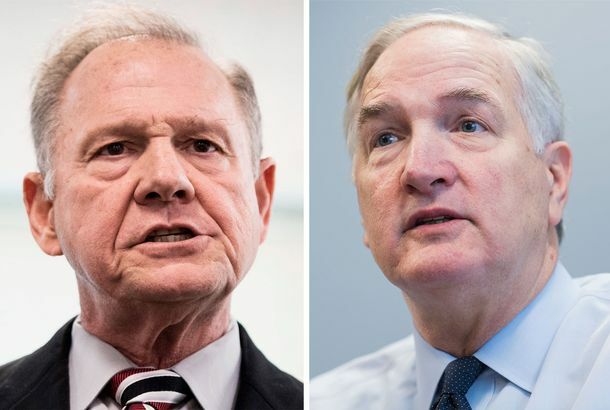 Jesus, Trump, and Guns: Luther Strange’s Ultimate Alabama GOP AdIn a race marred by negative ads, Senator Luther Strange has a positive spot that’s got more shout-outs to conservative icons than you can count. The Women’s March Organizers Are Holding a Protest Against the NRAIn response to an inflammatory ad pitting protesters against gun owners. NRA Reminds Gun-Loving Voters to Fear EverythingA peek into the election issue of their fearmongering magazine. New NRA President Jim Porter Is a Real GemCool. Anheuser-Busch Heir Renounces Lifetime NRA MembershipAn heir to a beer company’s fortune is no longer all about guns and ammo. Even NRA Lobbyist Thinks Obama Children Ad Was Over the LineYou don’t say. Will the Tucson Shooting Alter the Gun-Control Debate?Signs point to no.